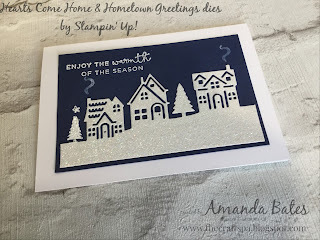 Just click on the photo to go straight to the project post with the Tutorial or more details... though there are no further details for the 2 new projects shared... which are the 2 coloured using Stampin Blends. And a more colourful version for you... Blendies out... let's get colouring! And for those of you that want the product details (as there is still time to order and make these for this Christmas!! Still my favourite all time christmas dies! Yes... I know... I said I was putting them (Spirited Snowmen) away! And higher across the back from tree to tree (roughly) - so kind of diagonally... you want yours to go down to the floor on the base! Not a bit raised like mine (as I had a momentary lapse of concentration as I stuck things!!!) And (with hindsight!) 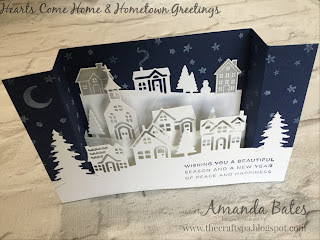 I also wish I had put this behind the tree to the right hand side ( though I would have had to cut out a notch then for the tree box!)!! 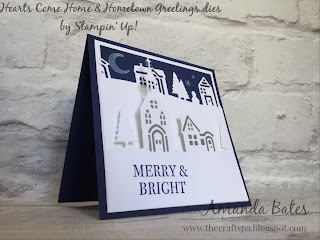 All finished off with a 1 1/4" punched circle - dazzled up with Wink of Stella - and Hearts Come Home stamped Santa on his sleigh! 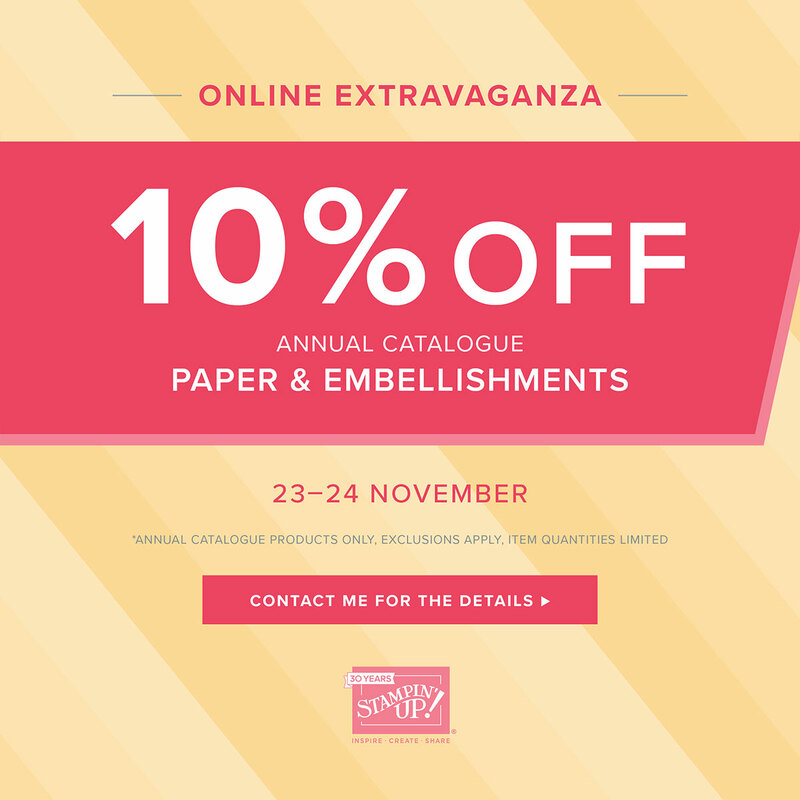 But before I start... today is the last day of the Extravaganza Sale... Tools & Inks with 10% off ..but only for about 15 more hours... Big Shot or Stamparatus not included... Ends 10.30pm today, Wednesday 28 November. 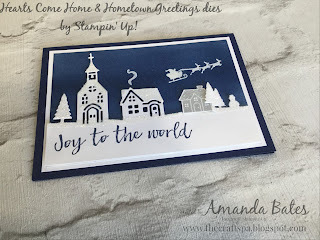 And seeing as I was taking a few more photos... here is your Sneak Peek of the whole stamp set... though apologies as I forgot to put the punch in the shot!!! Aargh! 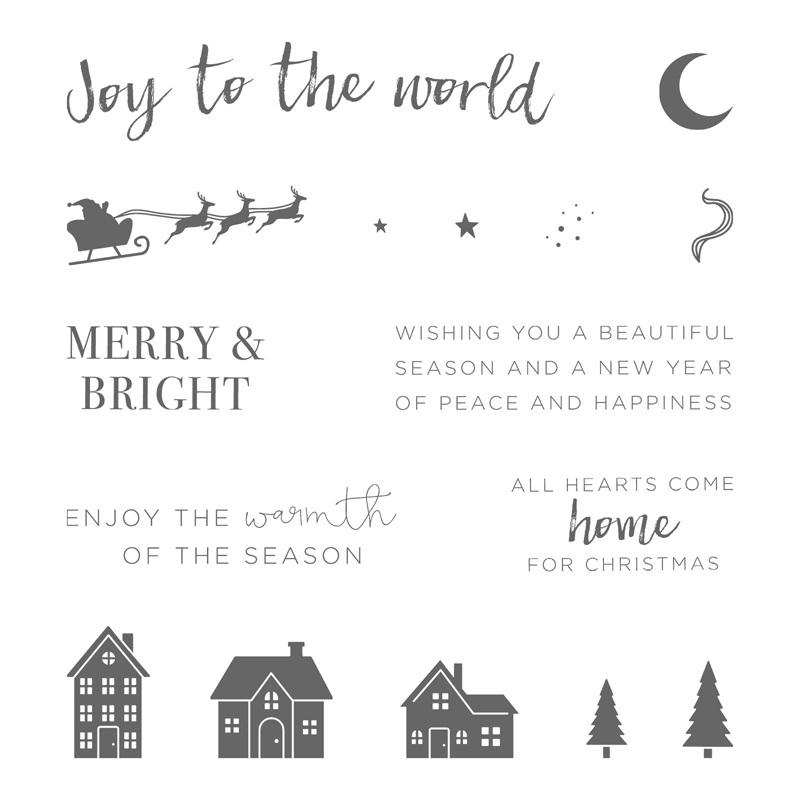 Two versions of a super simple little card to give you a sneak peek of a lovely new product coming in the Spring Summer Catalogue... These are for you Sarah! 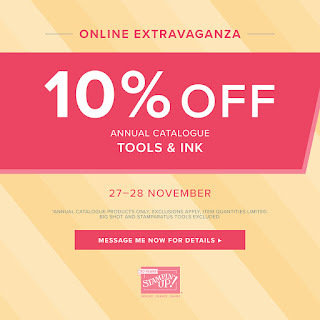 But before I start... Extravaganza Sale Part 3 is now in place... Tools & Ink with 10% off for 48 hours... Big Shot or Stamparatus not included... Ends 10.30pm Wednesday 28 November. And I have some Top Picks for you! And oh I have forgotten to photo the inside... but is says "Who cares what the question is!" 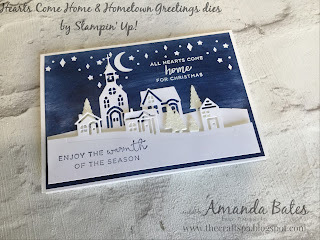 Come back tomorrow to see inside... along with the whole stamp set.... and a slightly more decorated version of the card... as I will have taken some more photos by then!! 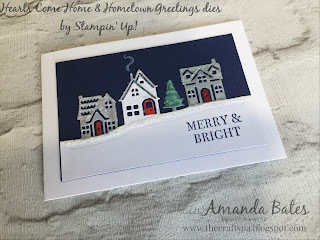 I think I had better put these cute Spirited Snowmen stamps out of sight... as I just couldn't resist putting another quick card together! 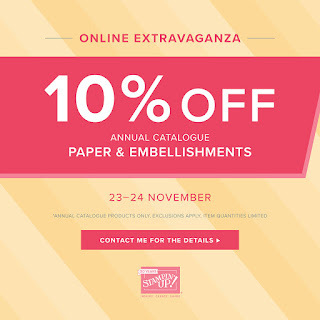 And don't forget Part 2 of the Sale is still on today! 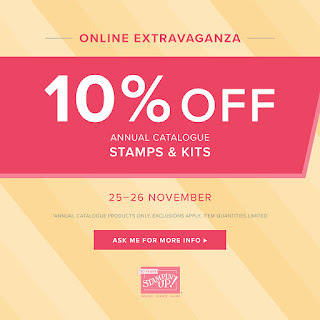 Stamps & Kits with 10% off. Click here or below to go straight to the Store... And don't forget the Host Code! And here we are all set up for today... with extra stove cards at the ready if I have speedy crafters! As I don't know if my ladies today are speedy or not! As I have the rare treat of meeting a couple of groups of my blog followers...for the first time... They are all travelling over 2 hours to make these projects... I think it is going to be a special day for all of us! And I really hope that they go home very crafty happy! 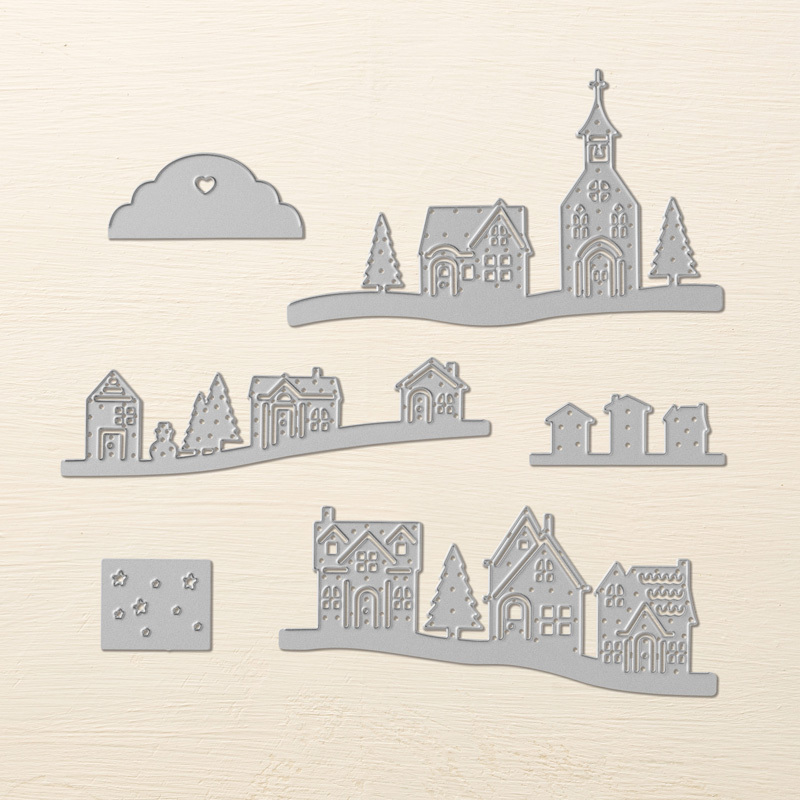 5 amazing stamp sets to create the greatest of scenes!! And not just for Christmas... well, apart from the Spirited Snowmen and some of Hearts Come Home... and I think that the last 3 of these sets might just be in the Extravaganza come tomorrow!